The regulator seeks to prevent a sharp dive of dollar. To prevent excessive fluctuations in the exchange rate of hryvnia and simultaneously replenish international reserves of the National Bank of Ukraine held an auction on January 5 by buying foreign currency of up to 100mn dollars. After the auction, the NBU reported having purchased 67.8mn dollars against the offer of 69.3mn dollars. The minimum rate of purchase of foreign currency was at 26.23 hryvnia per dollar, while some banks sought to sell currency at 26.35. The NBU has purchased 91.6mn dollars since the beginning of the month. The regulator said in release that the interbank foreign exchange market this week experienced a temporary excess supply of foreign currency, which was formed as a result of a confluence of the New Year holidays in Ukraine and business days in the US and Europe. During these days, foreign exchange earnings continued to flow in through the correspondent accounts of Ukrainian banks in the US and Europe and accumulated for the sale during the first post-holiday weekdays, resulting in an excess of the supply of currency over demand. 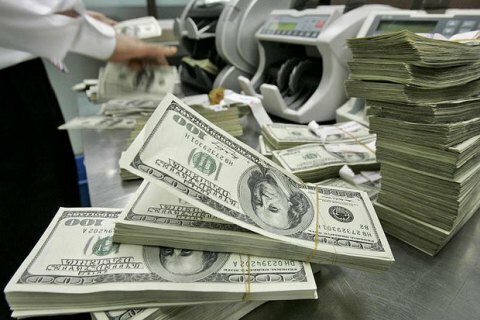 Earlier this week, the central bank held two auctions for the purchase of foreign currency having bought 23.8mn dollars to replenish international reserves. The hryvnia on the interbank market yesterday has strengthened by 48 kopecks to 26.70 hryvnia for one US dollar.